In a Live Stream, Koei Tecmo, developers of Nights of Azure 2: Bride of the New Moon, which also happens to develop Wii U’s Fatal Frame: Maiden of Black Water, announced that the Switch version of the game will come with an exclusive Costume. 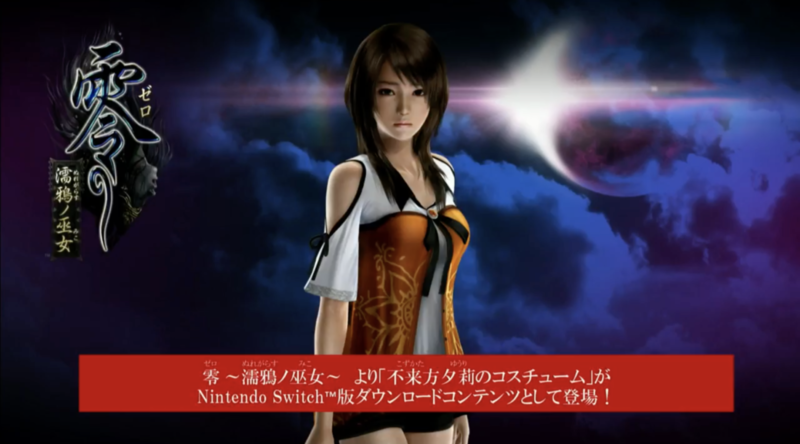 Though not showing anything more than Fatal Frame: Maiden of Black Water’s Yuri Kozukata in her default outfit, it is confirmed to be a Switch only exclusive. You can see the announcement at around 1:12:13 in the youtube video linked below. Nights of Azure 2: Bride of the New Moon will be released for the Nintendo Switch on 31 August 2017 (Japan), 24 October 2017 (North America) and 27 October 2017 (Europe).